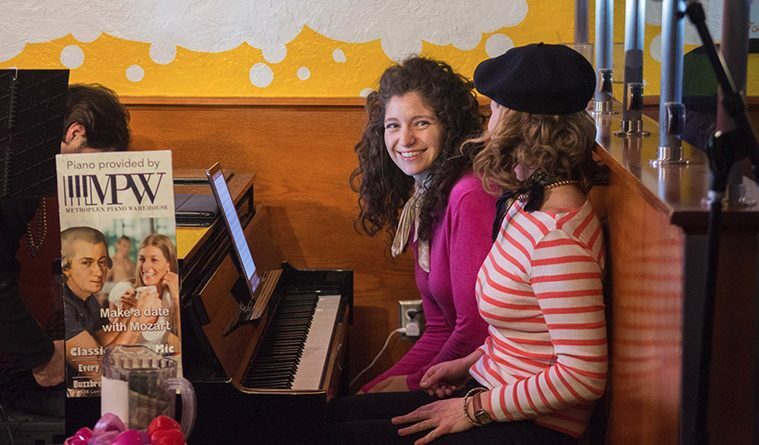 Kelly Ball and Pia Koch share a laugh before they perform a two hands piano piece at Classical Open Mic at Buzzbrews in Feb 2018. Photo by Serkan Zanagar. Open Classical DFW presents Dancewicz-Doucet Duo (Donald Doucet and Dominka Dancewicz, May 18-19. Photo by Mark Chen. It’s a Tuesday night at Buzzbrews Kitchen in Dallas’ Uptown neighborhood, where tattooed waitresses with Bettie Page-inspired hairstyles are ferrying plates of hot pancakes and bacon to their tables. On any given night inside this eclectic little joint of pop art décor, one may hear 80s new wave or 90s pop music piped through the overhead speakers. Not tonight. 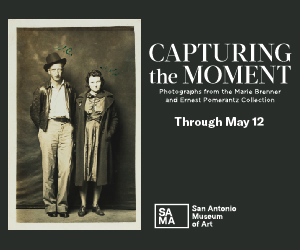 Instead, on a stage in the corner of the room amid the clinking of silverware and chatting guests, four musicians are performing a piano quartet by 19th-century German composer Johannes Brahms. While classical music within the space of neon Bud Light signs and psychedelic oil paintings of 20th-century music icons may at first seem like an unlikely pairing, this has been a weekly Dallas tradition for nearly eight years. Welcome to Classical Open Mic Night, hosted by Open Classical DFW. “I have a long history of doing alternative things in classical music,” says Open Classical DFW’s founder Mark Landson, who first stumbled across the classical open mic night in 2011. 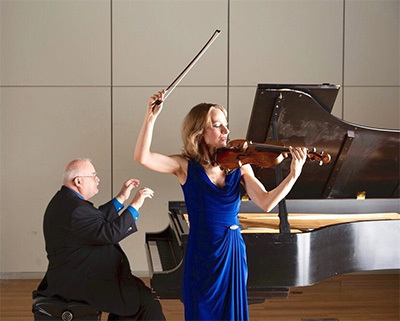 By that point, the classically-trained violist and Eastman School of Music alum had been searching for ways to create a solid community of classical musicians and fans in North Texas. His first shot at organizing classical music concerts began more than a decade earlier when he created a chamber music series at a restaurant on McKinney Avenue. When the founders of the classical open mic night announced in 2011 that they were planning to scrap it, Landson and pianist Thiago Nascimento stepped in. Within a year, they started filling the restaurant every Tuesday evening. 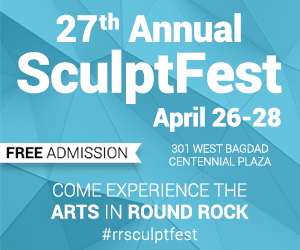 It was around that same time that Landson began dating Patricia Yakesch, who used her marketing background to help with promoting their events. During their first year of dating, the couple worked tirelessly to build an audience for Open Classical DFW activities, passing out cards at Klyde Warren Park events, creating a database of names, and ramping up their social media exposure. In time, Landson negotiated a payment with Buzzbrews to cover the cost of hiring Nascimento as the house pianist and later, clarinetist Brent Buemi as the emcee. The group worked out a deal with Metroplex Piano to provide a glossy black Yamaha upright piano for the gig. They even introduced a tip jar. 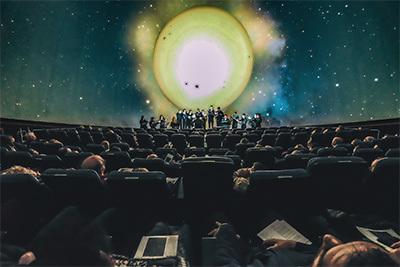 Verdigris Ensemble performed Consolation of Apollo at the University of Texas at Arlington Planetarium on April 14 as part of Open Classical’s Theater series. As Classical Open Mic continued to expand, Landson began directing his energy towards finding more performance opportunities for local classical musicians. A major milestone came in 2014, when Open Classical DFW received its official IRS designation as a 501(c)(3). Soon a board was formed, and the base of financial support broadened. To date, Open Classical DFW has hosted 50 chamber music concerts in various venues across North Texas. In 2017 alone, Landson was able to pay 65 musicians to perform. For an organization that operates purely on fundraising, many would say that’s impressive.